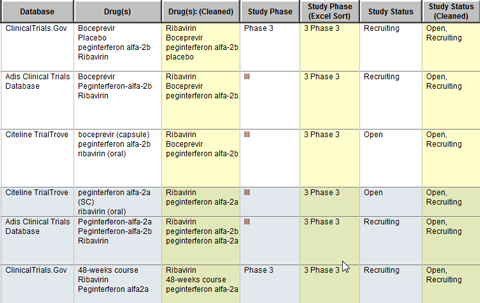 Drug Pipeline Report: normalize phase names according to your own preferences (3 examples shown below). Clinical Trials Report: normalize drug names, study phase, and study status. 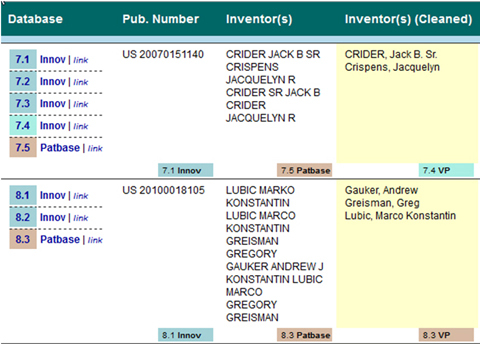 Patents Report: clean-up Inventor names. Patents Report: identify technology clusters, and extract and normalize company names from Assignees. 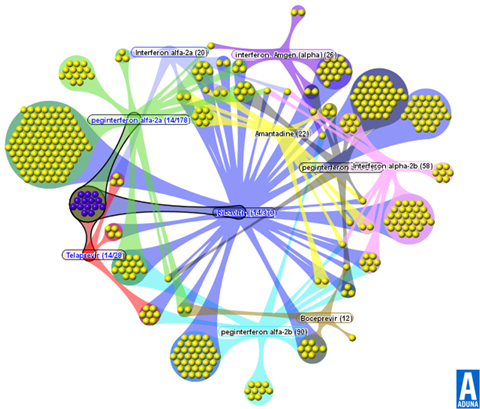 Clinical Trials: Aduna visualization of key drugs used in Hepatitis-C trials, after cleanup in VantagePoint and deduplication in Reference Rows.